Recents electrical mods to Suzuki DRZ400S for GPS power, easy access electrical connection for battery charging or jump starting and lightweight jumper cables for carrying on the bike. 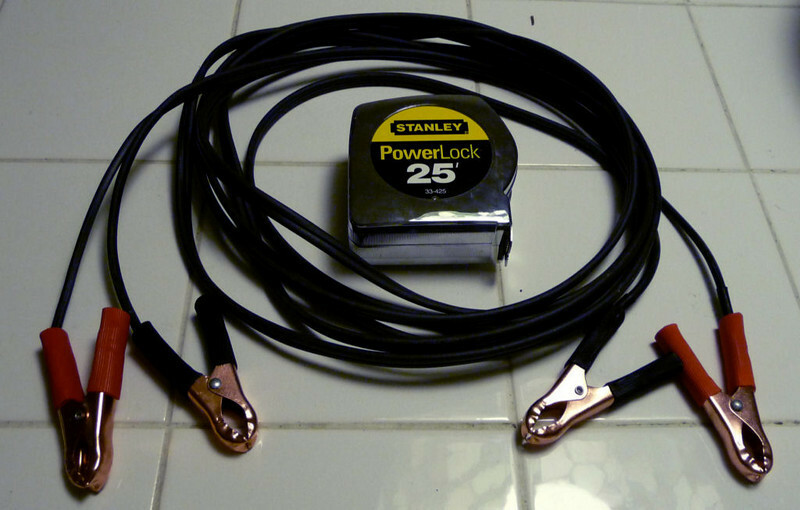 Compact, lightweight, 15' jumper cable set for carrying on the bike. Parts cost $10.00.